How can I manage admin privileges? 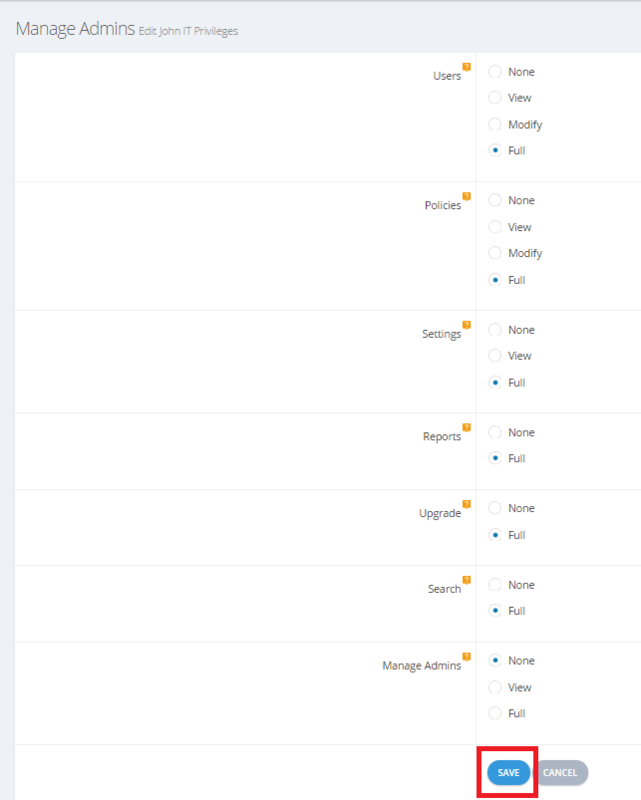 /BigMIND /Users Management /How can I manage admin privileges? By default, the admin will have full privileges. 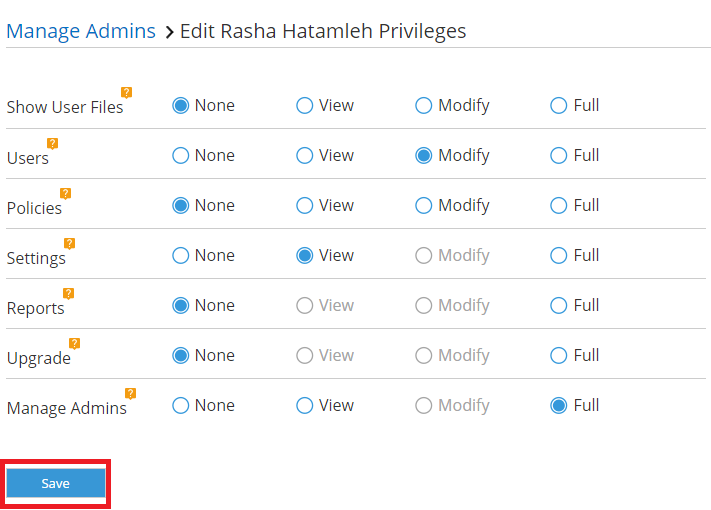 However, you can edit the privileges to be given to the admin, directly when you set the user as admin. Sign into your Zoolz online account. On the upper right corner, and next to your name, expand the arrow in the top right corner and select the Manage Admins option. From the Manage Admins window, click the Edit icon for the admin you want to change his/her given privileges. From the window that will open, edit the privileges as you prefer, and click the Save button. With BigMIND, you can edit the privileges to be given to the admin directly when you set the user as admin. Sign into your BigMIND online account. From the Manage Admins page, click the Edit icon for the admin you want to change his/her given privileges. If you want to prevent an admin from changing his/her privileges back, please check out this article.